In order to achieve this the monk is expected to detach himself mentally from his own body and look upon himself and all the beings in the world with true friendliness and love. After spreading the feeling of love in all directions, he should practice the same with other three virtues, namely, compassion, joy and equanimity. It is believed that the practice of friendliness and unbound compassion contribute to universal peace and welfare of the world. "And how does a monk who has admirable people as friends, companions, & colleagues, develop & pursue the noble eightfold path? There is the case where a monk develops right view dependent on seclusion, dependent on dispassion, dependent on cessation, resulting in relinquishment. He develops right resolve...right speech...right action...right livelihood...right effort...right mindfulness...right concentration dependent on seclusion, dependent on dispassion, dependent on cessation, resulting in relinquishment. This is how a monk who has admirable people as friends, companions, & colleagues, develops & pursues the noble eightfold path. "And through this line of reasoning one may know how admirable friendship, admirable companionship, admirable camaraderie is actually the whole of the holy life: It is in dependence on me as an admirable friend that beings subject to birth have gained release from birth, that beings subject to aging have gained release from aging, that beings subject to death have gained release from death, that beings subject to sorrow, lamentation, pain, distress, & despair have gained release from sorrow, lamentation, pain, distress, & despair. It is through this line of reasoning that one may know how having admirable friendship, admirable companionship, admirable camaraderie is actually the whole of the holy life." 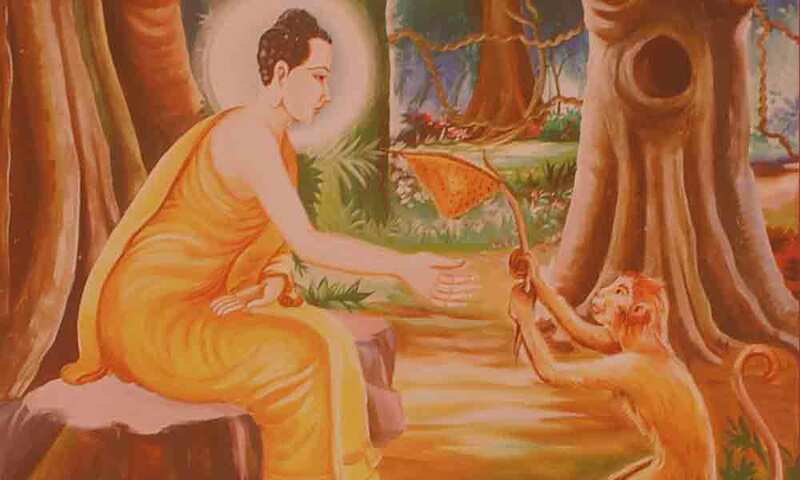 "When a monk has admirable people as friends, companions, and colleagues, it is to be expected that he will keep his persistence aroused for abandoning unskillful qualities, and for taking on skillful qualities — steadfast, solid in his effort, not shirking his duties with regard to skillful qualities." Source:: Admirable friendship kalyanamittata has been reproduced and reformatted from Access to Insight edition © 2005 For free distribution. This work may be republished, reformatted, reprinted, and redistributed in any medium. It is the author's wish, however, that any such republication and redistribution be made available to the public on a free and unrestricted basis and that translations and other derivative works be clearly marked as such.